A Advantech desenvolve e fabrica aplicações de rede que incluem AdvancedMC, Plataforma de Aplicação de Rede, Servidor de Rede, PICMG e servidores VPN. A Advantech utiliza uma framework COTS customizada para diminuir o tempo entre desenvolvimento e comercialização e cria um valor agregado único para aplicações de provedores de equipamentos de rede. Advantech 1U network appliances can be deployed in various applications such as firewall, VPN and UTM. 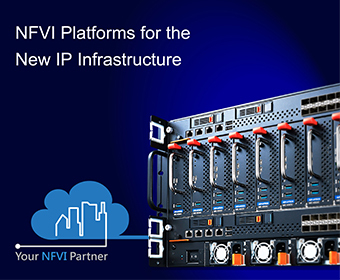 They are designed with x86 intel-based processor and provide a rackable version of tabletop platforms and rich IO expansion options. Advantech's SKY Servers integrate the most performing Intel Xeon processors with a rich I/O subsystem and extensive PCI Express-based expansion capabilities into a compact system design tailored to operate in business and mission-critical environments. Advantech Integrated ATCA Systems, with the latest 40GbE backplanes, network switches, ATCA blade, and rear transition modules, optimize the network application platforms to achieve possible density at the rack level, with a maximum number of payload blades, network ports, and switching capacity. Advantech’s Intel x86 ATCA blades offer fast PCI Express gen 3 lanes, ATCA Ethernet switches, and the best in class virtualization support. The ATCA blades, with both fabric/ base interface, can be matched with our ATCA processing system to deliver an ideal solution for next generation appliances. Advantech Fabric Mezzanine Modules (FMM) is a new denominator for platform personalization at the ATCA blade level. For ATCA blade configurations, FMM technology, supported by Intel Ethernet Controller and SFP port, offers a small, more power-efficient set of options. ATCA rear transition module is an I/O extension for Advantech ATCA blades: two Ethernet GbE ports provide I/O LANs for rear access; two USB ports (USB 2.0) support versatile USB devices; one PCI Express interface supports one mini PCIe socket with mini PCIe VGA module (optional) for debugging. Advantech Integrated ATCA Systems are tailored for ATCA applications requiring faster packet processing. The ACTA systems, with the latest 40 gigabit Ethernet (40G) backplanes, switches and network application blades, optimize the network application platforms to achieve higher density at the rack level. Advantech AdvancedMC is designed to work on MicroTCA, a ATCA carrier card which can directly plug into a backplane. Our MicroTCA and AMC product lines, with efficient power consumption and multiple choices of Gigabit Ethernet/USB2.0/SFP+ ports, elevate the AMC processing module performance for carrier grade communication equipment.